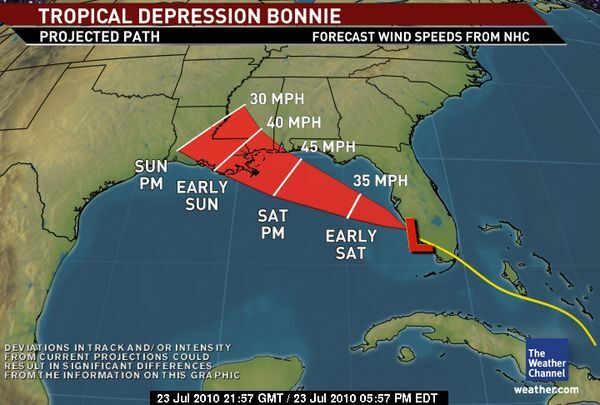 It all started in the news last night, when they warned all southern Floridians to get ready for the coming tropical storm Bonnie, who was supposed to bring along "heavy rainfall and gusty winds".. ha! Now the storm has been downgraded to a tropical depression and is long gone, currently threatening to hit the Gulf Coast region... it's still raining here but it's not so bad! Iggy used the storm excuse at the office and got home early from work... that's all the storm did! Thanks Weather Channel... for being wrong... again! Totalmente de acuerdo. Ha llovido mas duro otros dias!!! Totalmente alarmistas los noticieros!! !